I have read all of the talks included in the book earlier, but since they’re so great re-reading them is nothing but a true pleasure. In the book Charlie talks about the importance of having different checklists and use them properly when making decisions in different situations, this to try to avoid making foolish judgmental mistakes. 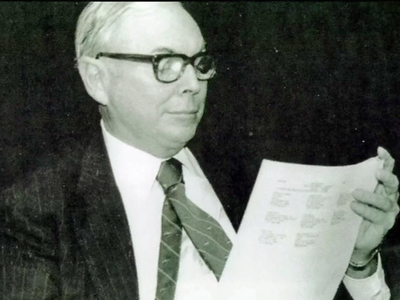 Below is an excerpt from the book discussing the use of an investing checklist based on the thinking of Charlie Munger. part of the complex whole or gestalt of the investment analysis process, in much the same way that an individual tile is integral to the larger mosaic in which it appears. Since human beings began investing, they have been searching for a magic formula or easy recipe for instant wealth. As you can see, Charlie’s superior performance doesn’t come from a magic formula or some business-school-inspired system. It comes from what he calls his “constant search for better methods of thought,” a willingness to “prepay” through rigorous preparation, and from the extraordinary outcomes of his multidisciplinary research model. In the the end, it comes down to Charlie’s most basic guiding principles, his fundamental philosophy of life: Preparation. Discipline. Patience. Decisiveness. 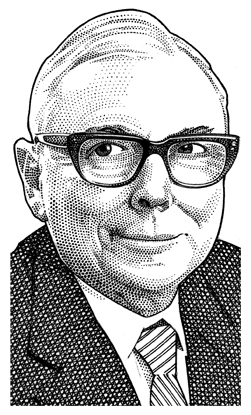 Each attribute is in turn lost without the other, but together they form the dynamic critical mass for a cascading of positive effects for which Munger is famous (the “lollapalooza” ). When analyzing a business as a possible future investment an investor needs to form an opinion about corporate governance, i.e. whether the business is run in the interest of shareholders or not. In his shareholder letter for fiscal year 2007 Warren Buffett wrote about what kind of businesses that turn him and Charlie, and summarized it as follows. A good start to widen your circle of competence in getting a better understanding about the area of corporate governance, is to read the paper and listen carefully to what Charlie has to say.